Among the many things that you may come to expect on various platforms, a proper YouTube app experience on a Nokia has not been one we’ve really had. 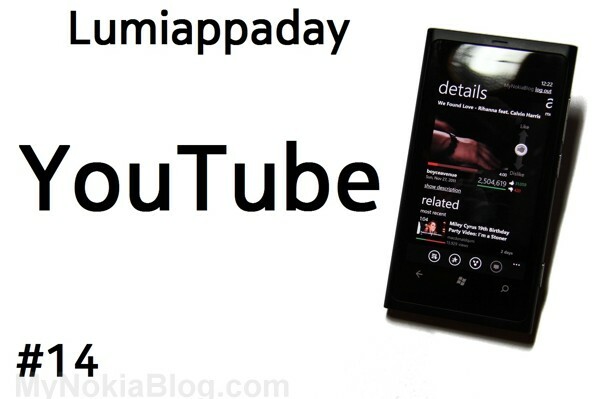 (Only the N900 did youtube proud, being the only one able to use full desktop youtube). Anyway, there are some good options available for your Nokia Lumia. Today’s app is another on the list I’ve been enjoying for a while – it’s just called YouTube by Lazy worm. They have another youtube app called MetroTube we’ll show some other time. I prefer the experience from the former app. Feature packed, beautifully designed, ad free YouTube app that won’t cost you a penny. 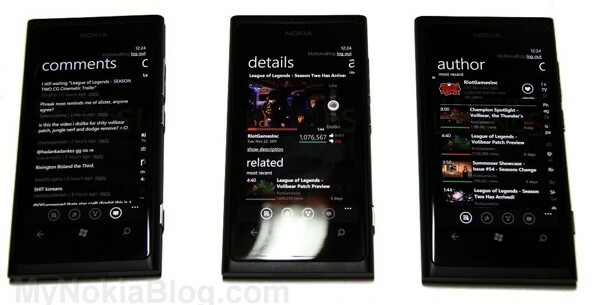 A must have if you want to watch YouTube videos on your Windows Phone 7. It’s actually very beautiful (subjective thing but I like it). It’s panoramic metro that brings you their lazy list (videos grouped together from the creator), search, most viewed (with categories option) subscription view, favourites and recently played. Settings allows you to change your YouTube location (I always switch from the boring UK ones to worldwide). Here you can also set up live tiles for anyone you’re subscribed to as well as set what lists you put on view. e.g. you can also add featured and top rated as well as edit lazylist feed. In the bottom of each feed you have toolbar buttons for settings, search, a time frame (contextual) that allows you to organize things from today/this week/month/all time. There’s also a button that only appears in video view. Here’s where it gets extra special. In video view you have a small thumbnail of the video as well as two arrows to give a like or dislike. Sliding the fist either way turns it into a green thumbs up or a red thumbs down. Underneath each video you have your progress bar, the title of the user, when it was uploaded and the ratings. You can also view the description as well as the related videos below. Here you can sort related videos from relevance, most recent, most viewed and top rated. There are also favourites and share buttons. You’ll also notice that the background when playing a video is a snapshot from that video – so each time it’s different. Very nice. To view a video in full screen just rotate to landscape. Easy as. You get a nice player with options to have HD view in the premium version. If you want to watch in landscape/fullscreen whilst lying sideways in bed (which would otherwise bring it back to portrait) you have an orientation lock. Speaking of landscape you can also navigate the app in landscape. You’ll notice some nice WP touches as the icons on the side bar just rotate – keeping their position instead of gliding down to the bottom at eating up more space. Going back to the video, to read comments, just swipe the page to the left. This brings up recent comments. The comment button allows you to leave your own comments if you have signed in. Swiping again to the left (or right from the details view) brings up details from the author as well as other videos from the author. If I were being picky, I’d like some rotation animation. It’s a fantastic app that’s very well laid out, in both landscape and portrait. I prefer using it in portrait for mostly one handed operations. If I were being picky, I’d like a home button so I can be directed to the main view without pressing back too many times. There’s space there at least for one more button. Also the category switch looks a little too small. Oddly, I have no problems with my big fingers actually pressing it. Oh the app nicely integrates into your main video player so it appears there in the history. Videos in lists are loaded fast (just scroll to the bottom and it will load more videos). 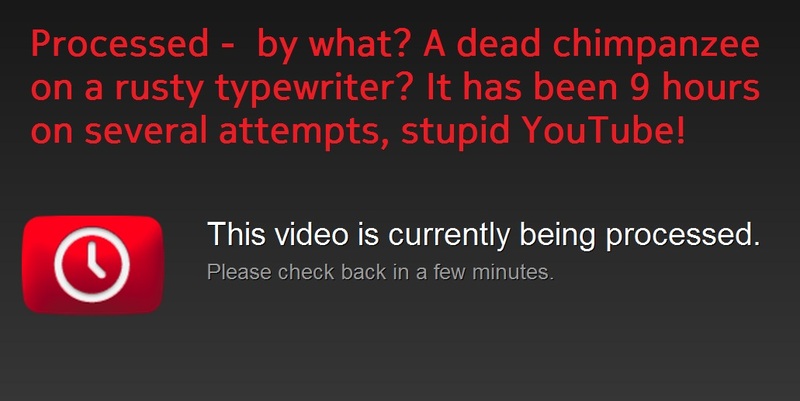 Resuming Lazyworm’s YouTube is quick enough, but if you are playing a video it will reload that entire video and not back to where you last left it. Also it does take a little while (about a second) to go back from video view, and when going to video view it sort of does stutter a little if you’re panning immediately (as it’s trying to download content – which it kinda needs to get before showing). My friends say they don’t know what slowness I’m talking about, but then again I do notice millisecond differences between different windows phones. This amazing application is free with no ads. You can upgrade to one which will let you stream HD. Conclusion: Download it now. If you watch YouTube, you’ve got to give this a try.